This little app I found when trailing through the iPhone app store is an absolute beauty. I'm forever trying to match my make-up to my outfits and most of the time I just go for the safe options, so when I found this I was instantly excited to try it. The beauty of this is that the app does all the work for you, which I love, then you go from there. 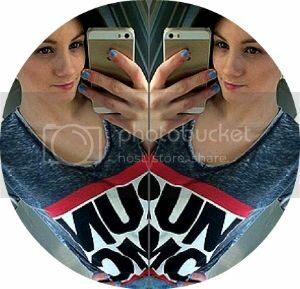 Basically, you take or upload a picture of your outfit to the app, where it gives you the main colours that it finds within the picture. 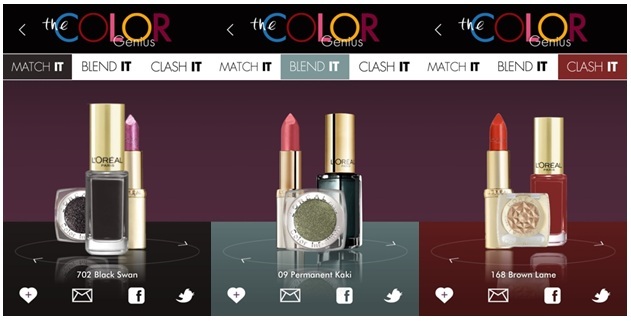 You then choose a colour which you want to focus on, then click on which look you would like to go for. I always go for the match option, then you can switch between the three later on. You also have the option of choosing 'Day Look' or 'Night Look', which is really handy too. I did an example of each below... the top image is Day and the bottom is Night. As you can see it gives you a lip product, eye-shadow and nail varnish to match the colour you have chosen, then based on whether you want to match, blend or clash. 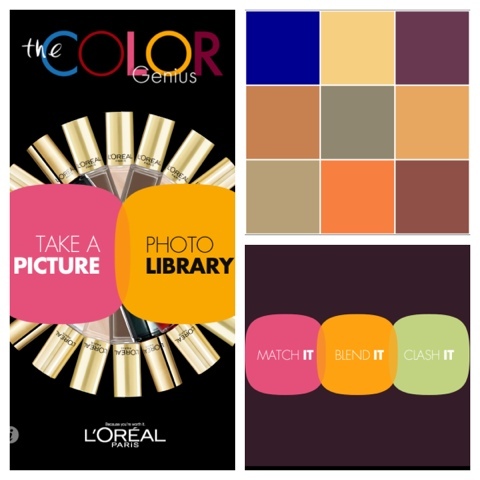 What is really good about the app is that it also uses products spread across the L'Oreal make-up range, so you'll find different types of lipsticks and eye-shadows instead of all the same product in different colours. You can then save the looks you like or even tweet/post them to Facebook. 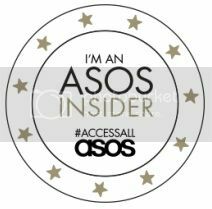 I think this app is so handy and is also an amazing idea for bloggers who want to show their looks and things. Obviously you could do a look, then go out and find dupes of the colours to suit your tastes. I'm beginning to really like this app and I know it will get a lot of wear in the future. What do you think? 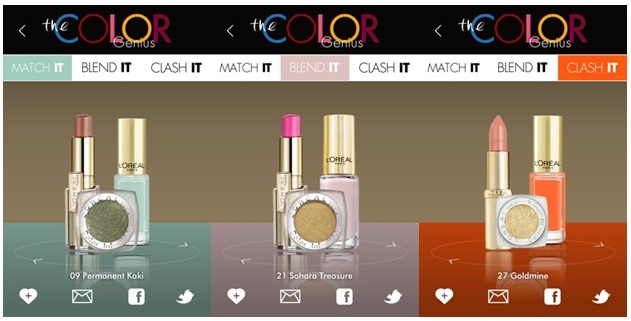 Do you use the Colour Genius app?